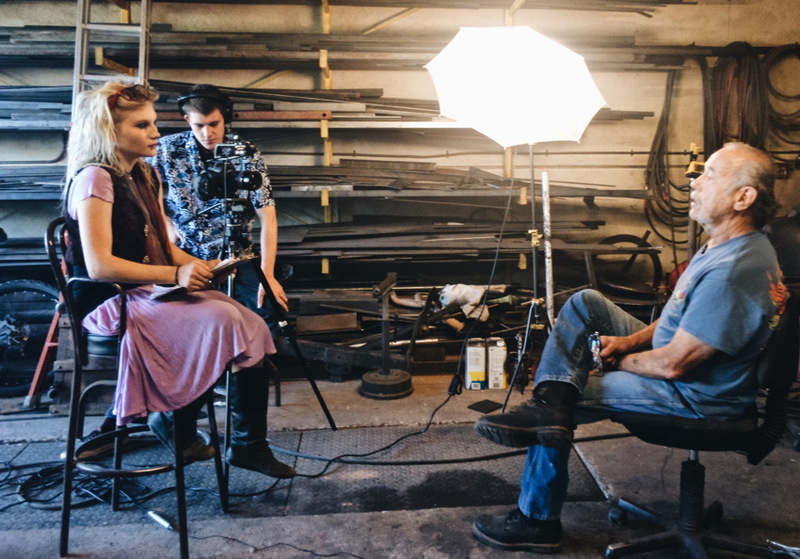 In the fall of 2017, Littleglobe Fellows Z Wilds, Gabriel Martinez, and Carlos Kelly, all 18 years old, captured oral histories with people who live and work in the neighborhood surrounding Siler Road in Santa Fe, NM. This industrial area, once on the outskirts of town, is currently undergoing a significant transformation due to its now centralized location and influx of new businesses and creative endeavors. Under the mentorship and guidance of Littleglobe artists and educators, these young people interviewed community members about their work, their relationship to the neighborhood and their perspective on how the area has changed and is currently changing. In collaboration with the Siler Yard Arts + Creativity Center, Creative Santa Fe and ¡YouthWorks! Workforce Innovation Program, this outreach project was designed to capture stories and engage community members in dialogue about issues around development, creativity, the art scene, youth, and businesses in this neighborhood.